Telephones Lines and Veins Intertwine at "Savageness"
With bold performance art, 6018North delivered an immersive experience of urban architecture both past and present. Last Saturday’s performance, entitled Savageness, or There are veins embraced in the property, began with its performers—Jennifer Scappettone, Judd Morrissey, and Abraham Avnisan—nowhere in sight. Hearing a rumor that the third floor of the building was haunted, the audience headed upstairs to find four pale effigies with flamboyant ribbons around their heads, suspended by strings tied to the stubs of a ceiling fan. Their spinning movement evoked the ancient Mesopotamian dance ritual that the artist Rodrigo Lara Zendejas appropriated into this artwork. As the boundary between the art installations and the decrepit facilities of 6018North blurred, a bushy-haired dark figure, wearing a Venus of Willendorf around her neck, made her away across the hallway, breathing through a copper pipe into the electrical sockets on the walls. She wore a belt of fairy lights and a phone strapped around her forehead like a luminous third eye. All three performers emerged downstairs wearing the strange headgear, like miners about to excavate your mind. The performers’ code came from various code words chosen from a thick telegraphic code book filled with bizarre abbreviations and their mundane meanings. By piecing the code words together, the performers created an imagist poem that animated seemingly meaningless phrases from the past to convey a powerful statement about the environmental and social implications of urban domesticity. In the surreal space of 6018North, you could feel the taste of copper on your tongue; the fairy lights, pennies, pipes, and poetry all served to highlight how foundational the material was to the different telecommunication systems evoked in the show. 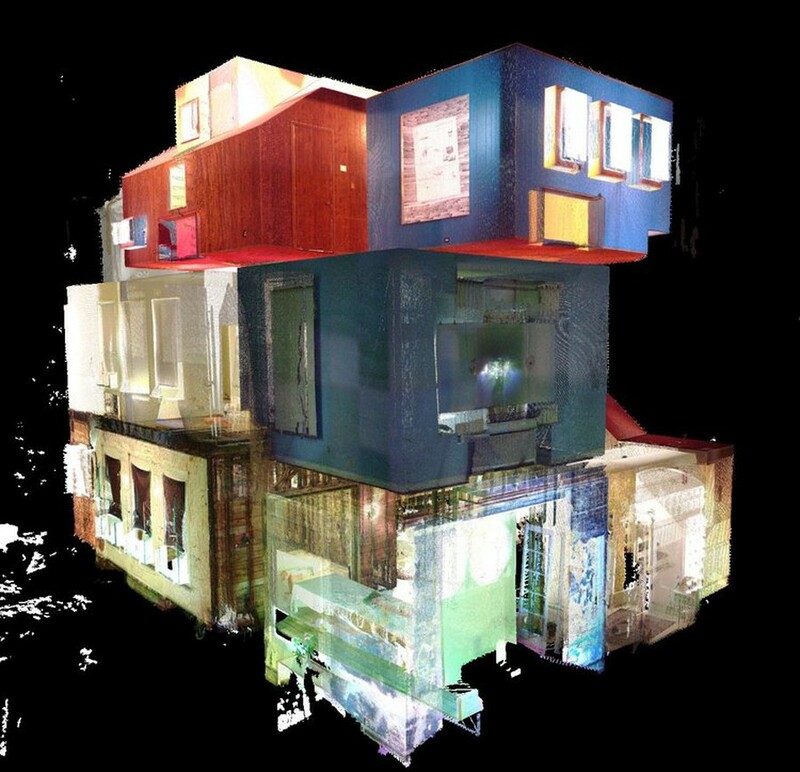 LIDAR projections formed a backdrop to the miners’ act, projecting scans that seemed to tear down the newly constructed drywall and perforate the very fabric of space-time to reveal the house’s past incarnation. Eventually, the projections were replaced by a digitally fabricated video of papers rolled up like pipes, spinning in a void, from which the performers took turns reading. “It is impossible for a man and a family to live on 72 cents a day.” Such quotes, which ranged from personal letters to legislations, were interspersed with Crosby lyrics and more of the reappropriated telegraphic haikus, read out of an AR software installed on iPads that hung from pulleys on the ceiling. The scene could have come from a science fiction novel.